The average laptop in the shops for around $500 has somewhere in the region of 60GB of memory. You see that figure and think ‘wow – imagine all the movies, songs, images, files and documents I could save on that baby’, right? If you were to stack the equivalent capacity of CDs in front of you it would surely rise to eye-level. You can fit everything on those CDs onto that hard drive. Truly amazing for an invention that has its origins in the 1950’s and was first developed as a humble cassette tape. Hard drives use magnetism to store information just like on old cassette tapes. For that reason, copper heads are used as they are easy to magnetise and demagnetise using electricity. Remember when you were a kid and you pulled apart that roll of film with all aunt Lucy’s wedding snaps on it? 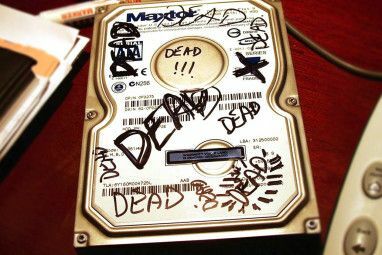 Well exposing a hard drive to light will damage it and render it as useless as that roll of film. Just took one apart to destroy the disc. What is the purpose of the super strong pair of magnets one each above & below the disc.? That's the problem with the web: people are just so critical. Perhaps the author can explain how you magnets can store stuff...anyway, I learnt something in this article. I didn't know that something in the hard drive is moving. What about USB drives? Any arms or sth like that? A bit basic... and it raises questions like: how about the different sizes of sectors physically (inside sectors are smaller), compared to the identical sizes in storage (4 k)? "2.When I refer to 60GB of memory, quite obviously Iâ€™m referring to the amount of data that can be stored on the disc." "Most people havenâ€™t a clue about the difference between memory (RAM) and a hard disk. A bit disappointing to see the same mistake in an article here." Of course, OBVIOUSLY, you weren't referring to RAM. And as Paul pointed out, it's inconceivable that a supposed tech writer would make the mistake of using HD and RAM interchangeable, and that a supposed electrical engineer would defend such usage. The "information" offered here has become a joke. Unsubscribing RSS feed in 3... 2... 1. "(and yes, I believe with the â€œlightâ€ comment he was mistakenly referring to optical disks, CDs, etc..rather than a magnetic hard disk)"
Yes, because exposure to light will ruin all those optical disks. Be sure to only use your CDs in the dark, kids! 1. Sorry about the last piece of advice about the light. I think I got carried away with the 'roll of film' idea. 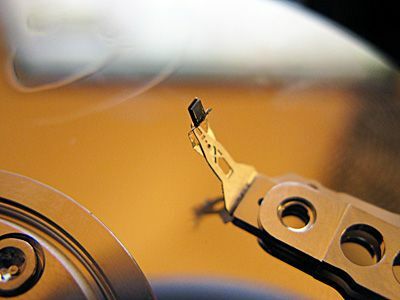 Basically, when a hard drive is being manufactured they are shined and cleaned until there isn't a trace of dirt, dust or contamination on the disc. Indeed, light for short periods will not damage the platter but any dust in the air or any contamination left behind such as fingerprints or moisture will make it hard for the heads to read the data. 2.When I refer to 60GB of memory, quite obviously I'm referring to the amount of data that can be stored on the disc. A PC with 60 GB of RAM would be some kind of monster machine ! ;)Paul - I think you'll find most people do know the difference between RAM and hard disc capacity - even on computer advertisments they're labeled in the specs for all to see and understand. Platters are magnetic, NOT light sensitive! It would be the same as saying that a audio cassette is light sensitive. PLEASE do your research THOROUGHLY before writing an article like this. Misinformation can be worse than a lack of information. And proper terminology, such as the difference between RAM(memory), and hard drive storage, is important. Most modern disks spin at at least 7200 RPM. There are more misconceptions in the article that I won't comment upon. I would also avoid telling anyone to open a hard drive even one they get from eBay. There are enough photos and videos online to satisfy that curiosity. I agree with Rick Stanley's comments. The article author also says: "The CPU will tell the hard drive what youâ€™re looking for... It will then â€˜readâ€™ the image and send it to the CPU... Then the CPU takes over and sends the image on its way to your screen." Also: "When you click â€˜Saveâ€™, all of that information is shot to the CPU which in turn sorts it (processes it) and sends it to the hard drive for storage. " The CPU does all these? The author does not seem to have clear ideas about the operations of a CPU, Operating System and RAM. @Rich: Right. 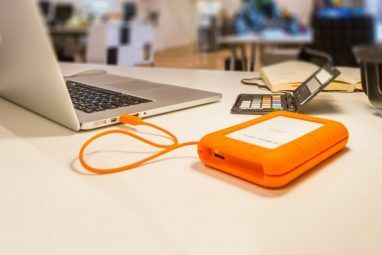 Hard disks aren't sensitive to light, but ARE sensitive to dust and dirt in the air...which is why the drive is filled with inert gas in a "clean" room (which makes a hospital operating room look like a pigpen) at the manufacturer's facility. (A single particle of dust is big enough to jam between the hard disk head and the platter...which would ruin the drive!) Unlike floppies or audio cassettes, the hard drive heads "float" above the surface of the disk on a cushion of gas. This is the absolute worst article on the operation of a hard drive I have ever seen. It is painfully obvious that the author knows less about hard drive technology than your average 5 year old. In fact this article would insult the intelligence of a computer savvy child. Please, either label this as "satire" or "comedy," or remove it. If you are interested in knowing how a hard drive works check the videos below. They cover hard drive operation, data recovery, and forensics. Albert - as an electrical engineer I would disagree with you. 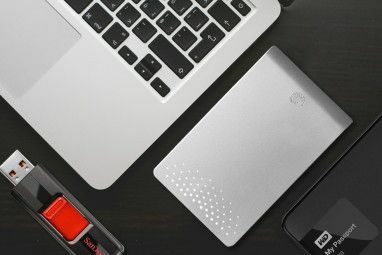 While the article is certainly written "down" for a lay person to understand (and yes, I believe with the "light" comment he was mistakenly referring to optical disks, CDs, etc..rather than a magnetic hard disk), but that was a single error - to call it the worst article isn't fair to the author. The described operation and the diagram is technically correct, albeit simply described. 60GB of memory in a PC?!??!? You just explained throughout the whole article how the heads magnetically "write" on the disks and then you say that they will be ruined if exposed to light? Is light magnetic? Most people haven't a clue about the difference between memory (RAM) and a hard disk. A bit disappointing to see the same mistake in an article here. Paul - could you please explain what you're talking about? It appears pretty clear to me that the author was not in any way referring to RAM but was talking about a 60Gb hard drive. What exactly are you referring to?